Nissan has found an innovative use of a 200-year old technology to reduce distracted driving caused by mobile phones. Introducing the Nissan Signal Shield concept. In this regular looking Juke sub-compact crossover, engineers have lined the center armrest with a Faraday-cage. 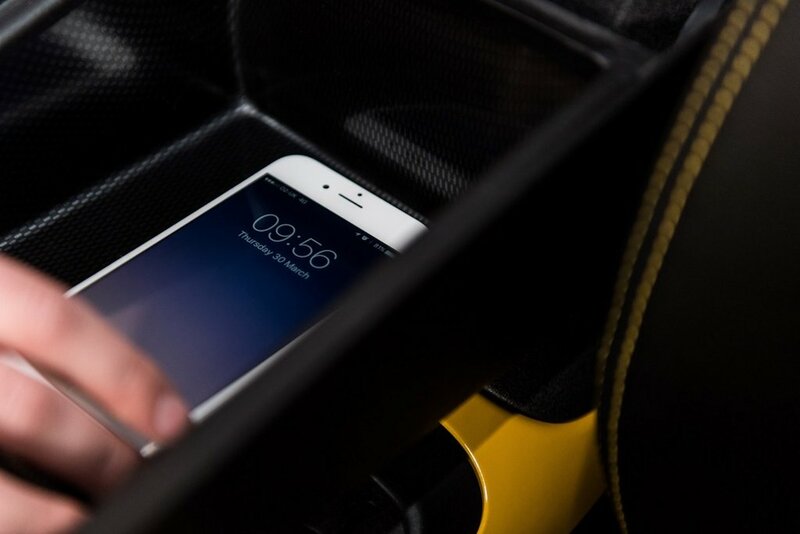 When a mobile phone is placed in the compartment and the lid closed, the Nissan Signal Shield creates a “silent zone” that blocks all cellular, WiFi, and Bluetooth signals. The Nissan Signal Shield concept provides optional connectivity, giving drivers the choice between being able to contact and be contacted from the road, or creating a “phone-free” space and time. It means a digital detox and a drive that’s free of incoming distractions. If drivers want to listen to music or podcasts stored on their smartphone, they can still connect to the car’s entertainment system via the USB or aux ports. The device will maintain wired connectivity even when in the Nissan Signal Shield compartment. To restore the phone’s wireless connections, drivers just need to open the armrest to reveal the compartment, which can be done without taking eyes off the road or touching the phone itself, and the phone can reconnect with the mobile network and the car’s Bluetooth system. I have a better idea: Airplane Mode. That way you don't have to pay for a new center console.